We produce fitness machines for globally reknown companies as well as young brands within our broad network of fitness factories. Get in touch with us if you plan on producing fitness machines. Rowing machines mimic the experience of rowing on water. Key points are the comfort, adjustability, noise, storage options, ease of assembly, and digital technology. Comfortable rowers require a good seat and foot pads as well as the option to adjust the machine according to the users’ heights. 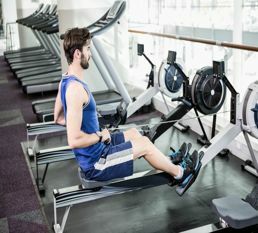 Rowing machines can be noisy or quiet. 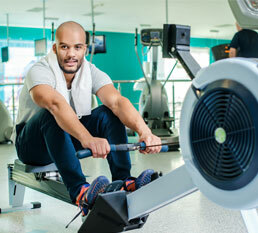 Some users prefer noisier rowers to hear the outcome of their training. Storage is a key factory for home users. Some machines fold up easily and have wheels to move the machine. Customer’s care about the ease of assembly. High end rowing machines are easy to assemble, disassemble and store without loosing stability. In this technology age, connectivity is a key factor for many of the younger home users. Displays telling you the distance, time and calories burned are not sufficient for these young people, instead the option to connect to apps is required. Rowing machines can be divided in four groups. Air resistance rowing machines, water resistance rowing machines, magnetic resistance rowing machines, hydraulic resistance rowing machines. Water resistance rowing machines create resistance by pushing a paddle in circles through a water tank. 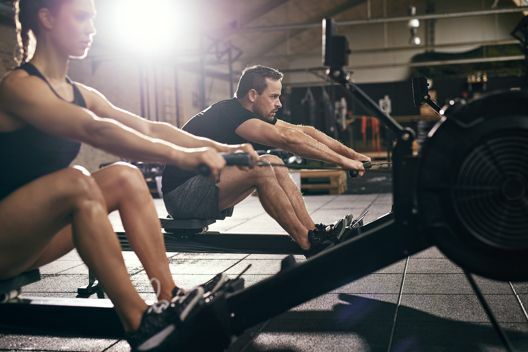 The resistance increases with an increase in rowing pace. Water rowers are larger than most other rowers, they are quiet, smooth and consistent, and give users the feeling of paddling through real water. 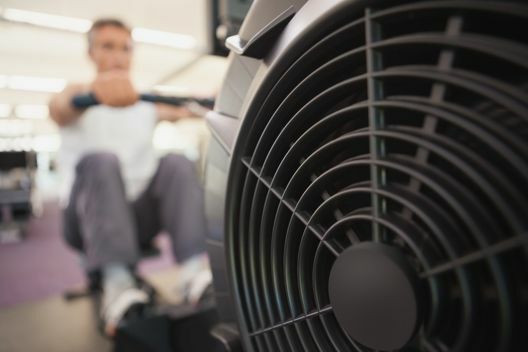 Air resistance rowing machines use a fan (flywheel) to build up resistance. The resistance level can be adjusted. The range of resistances replicates the feeling of rowing on water. Air rowers are generally more durable and noisy. Magnetic resistance rowing machines have an internal magnetic break to build up resistance. Magnets in the flywheel can be set to meet different levels of resistance. Magnetic resistance rowers are the quietest rowing machines. While air resistance rowing machines build up resistance the faster you row, magnetic resistance rowers keep a stable and even resistance the whole time. 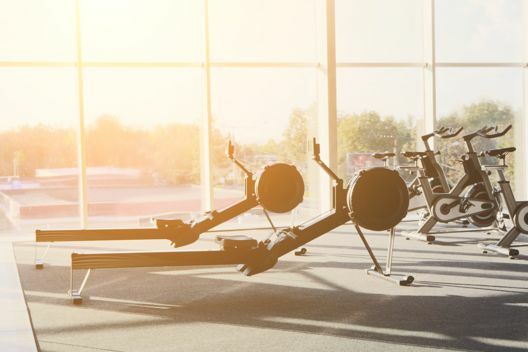 Hydraulic resistance rowing machines use hydraulic cylinders or hydraulic brakes to build up resistance by making the user push fluids from one point of the machine to another. The movement when using hydraulic resistance rowing machines does not mimic real life rowing. While the resistance can be adjusted, the movement is less smooth. Hydraulic resistance rowing machines are quiet, small, and easy to store making this rowing machine popular among home users.